The story of the Berlin Half Marathon reflects a major part of the history of the German capital. It all began during cold war times and continued during reunification. The events leading up to today's event could really only have happened in this city. Its predecessors came from East- and West Berlin. 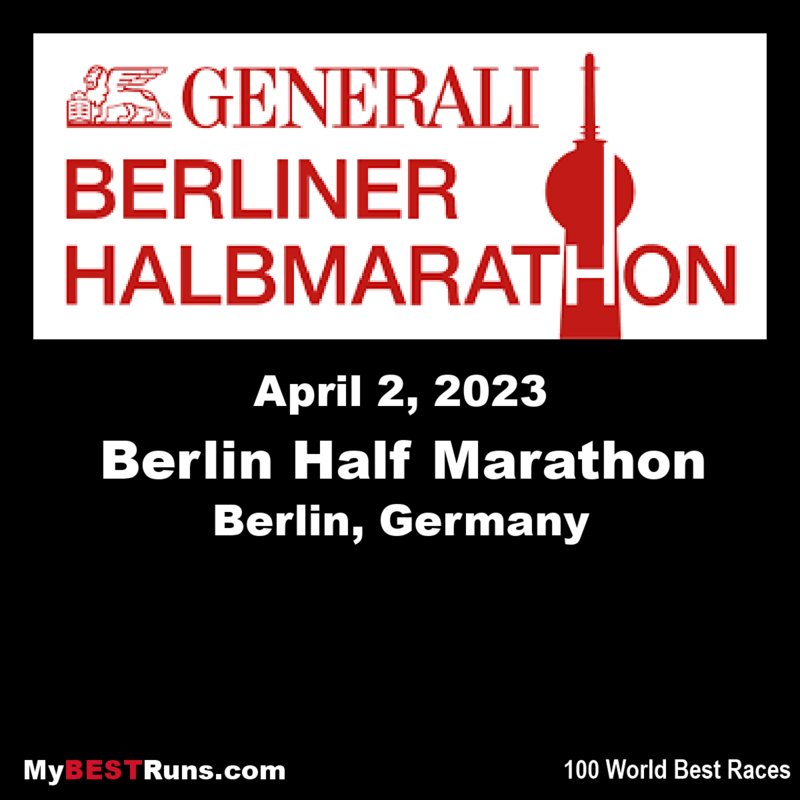 On 29th November 1981 the Lichtenberg Marathon was staged in East-Berlin. It was the first real city race in the capital of East Germany. This race was one year later succeeded by the "Berliner Friedenslauf" (Berlin Peace Run), which covered various distances up to a marathon. The Friedenslauf was the biggest road race in the former GDR. While in former years the East German government had shown no interest in city races, that attitude changed, when big and spectacular city races developed in western countries. Races like the New York City Marathon or the BERLIN MARATHON in the western part of the city were successful. So the government decided that it would be good to have a big race as well and as usual in those times it was dedicated to peace. For the runners the motto did not matter. They were just happy to finally get what they had asked for for many years. Over the last five years the winning time has been under one hour. The course record for men was set in 2007 (58:56 by Patrick Musyoki from Kenya). The women's record is 1:07:16 in 2006 by Edith Masai from Kenya. The Berlin Half Marathon is well on the way to become a race with a similar reputation as the BMW BERLIN MARATHON.